The fields of pediatric cardiology and cardiac surgery have grown and progressed faster than most other fields in medicine. In this 2 volume text book, the current state of outcomes analysis, quality improvement, and patient safety are examined. 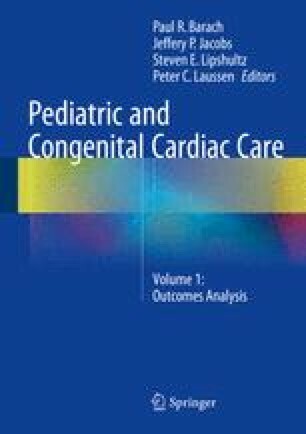 Volume 1 focuses on leading work in pediatric cardiac care to understand and measure improved patient outcomes and how to establish collaborative definitions and tools of quality and outcomes measurement. Volume 2 covers the new sciences of implementation, continuous quality improvement, safety science and systems improvement. Manitoba pediatric cardiac surgery inquest report. http://www.pediatriccardiacinquest.mb.ca/pdf/pcir_intro.pdf. Accessed 10 Aug 2011. Cassin B, Barach P. Making sense of root cause analysis investigations of surgery-related adverse events. Surg Clin NA. 2012;92:1–15. doi: 10.1016/j.suc.2011.12.008.